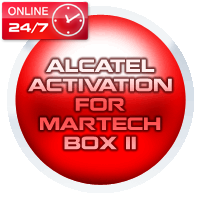 Activation Alcatel Martech Box II+/Clipp USB will give you oportunity to upgrade your Martech Box II+/Clip USB to support all Alcatel phones withtou any problems. In complete you will recive complete kit of 7 cables for supporting such models like BE4(301,302,303), BE5(501,701) , BF3(310,311) , BF4(511,512) , BF5(715) , BG3(525,526,331) , BH4(535,735) , XG1(320) and Exxx (E-157, E-158, E-159, E-160, E-161, E-252, E-256, E-257, E-259) . 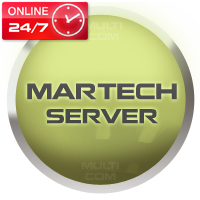 In price there are already included direct support from Martech TEam and access to FORUM of Martech Team (Alcatel section). NOTE: In this price you will recive only complete of 7 cables and activation file for your Martech BOX II USB Serial number ! 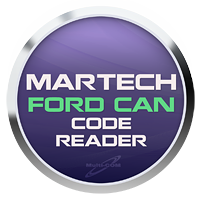 Activation Martech Ford CAN code reader allows you to, read the original radio code, read, reset, and change the VIN stored in the radio. Activation Martech MDM will give you oportunity to upgrade your Martech Box II+/Clip/LITE and Martech key to support GPRS modems as Huawei and Vodafone. You can support witthou any logs and additional payetmn such as Huawei E156, E156G, E160, E160G, E166, E169, E169G, E170 etc and Vodafone K2540, K3515, K3520, K3565, K3175. 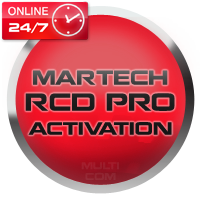 Activation Martech RCD is a software for unlocking car radios and navigations. It's all-in-one solution used by experts and beginners also. 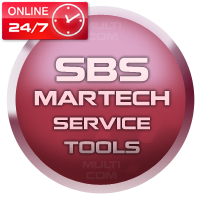 Activation Martech SBS it's easy in use tool for repair faulty batteries. SBS supports: laptops, cameras, video cameras, digital cameras and other types. You can reset charging cycles and date of manufacturing, so in short brief: when your battery doesn't work properly and its cells are in good condition you need to use SBS on battery eeprom and you will have again fully working battery. We recommend Martech Analyzer for regenerate process of cells. Activation Martech VSZ will give you oportunity to upgrade your Martech Box II+/Clip, LITE or Martech Key to support Vodafone 125, 225, 226, 227, 228, Sagem my150x, 220X, 220v, 310X, ZTE phones and Coral. Adapter activation for Martech Box LITE it's service for unlock option for use TP v2.0 adapter with yoru Lite Box. BOX LITE device in moment of buying has BLOCKED possibility of using Testpoint Adapter device. If user will decide to buy Testpoint Adapter, he has to activate Testpoint Adapter option in his BOX LITE device. Every user of BOX LITE device can remotly activate possibility of using Testpoint Adapter device. We need his BOX serial number. We'll generate activation file for turning on Testpoint Adapter feature inside BOX. Activation procedure is very easy, and takes few seconds only. 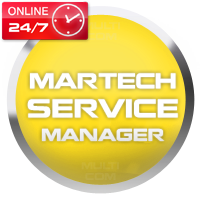 Martech Service Manager 1.1 Advanced online application for service management. Do you happen to be confused which repairs were meant to be done for the following day? MSM enables you to register repairs that have been accepted to your service, it will print all the confirmations as well as expertises and repairs data. The customer will be able to trace repair status online, only if you want to. Would you like to have an access to your base from every place without the necessity of taking the soft with you each time? You have an access to MSM 24 hours a day, 7 days a week, from all over the world, all you need is the Internet connection. 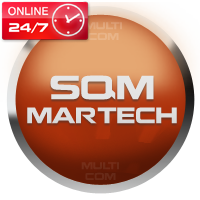 The highest quality ever and maintaining all security procedures is guaranteed by Martech Team - well known and present on the market for a long time . 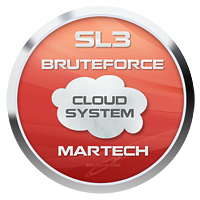 Martech SL3 BruteForce Cloud System is a new addition to Martech Service Manager. The application definitely makes it easy to support multiple computers that count the codes for SL3 phonesusing Brute Force method.The application is based on oclHashcat-lite v0.06 and v0.08. The main part of the application is server, dividing tasks between computers on which SL3Client application is running. 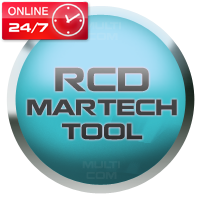 RCD PRO Service Tools Martech Activation it's the latest project dedicated for decoding car radios and navigations. Project consist of standalone tools based on Martech CLIP/Martech BOX III and additional PC computer application. Resseler pack for Martech it's pack of activations dedicated mainly for resselers/distributors that allows them to create OnLine activations for their clients. Credits are used for activation of each modul - for example using 1 credit you can choose activaiton from Alcatel, SVZ, MDM, ODM etc (one of them). If you need next activaiton then another credit will be used. Credit system will be used for all Martech activations as ALC (Alcatel), VSZ (Vodafone, Sagem, ZTE, Coral), ODM (Motorola ODM), MDM (modems GPRS), HWEI (Huaweii) or LG.